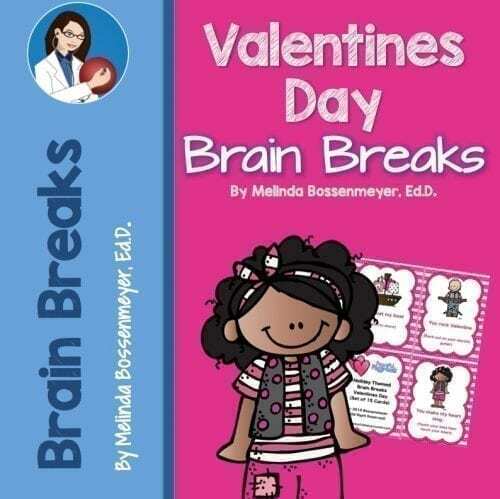 Cold Weather Tips are seven (5″ x 7″) posters on how to keep warm during an outdoor recess. 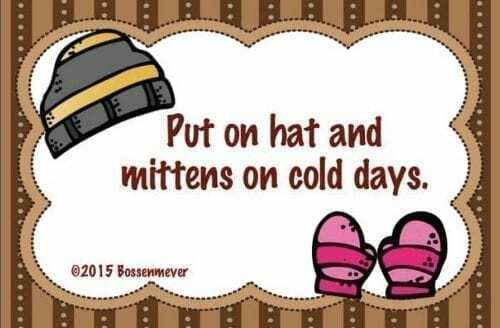 Posters include: wear layers you can take off as the day warms up, put on your hat and mittens on cold days, and wear a winter scarf to keep you warm. 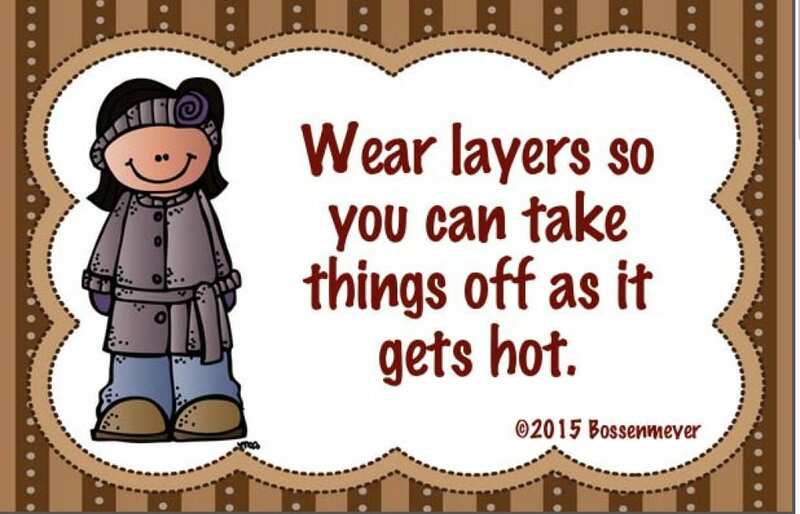 Cold Weather Tips are 7 (5″ x 7″) posters on how to keep warm during an outdoor recess. 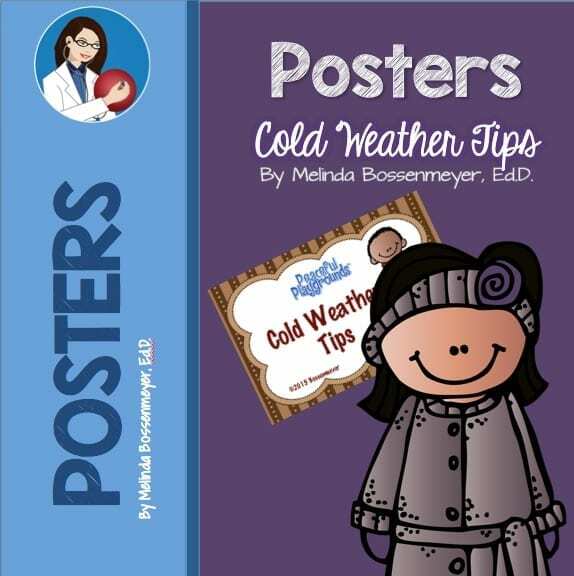 Posters include: wear layers you can take off as the day warms up, put on your hat and mittens on cold days, and wear a winter scarf to keep you warm.